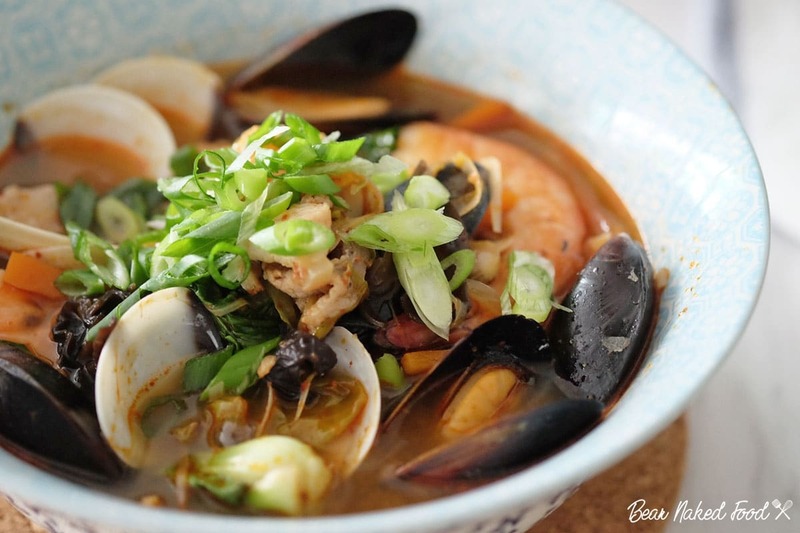 Jjambbong is a hybrid noodle dish having roots in Chinese cuisine and being adapted from Korean cuisine. 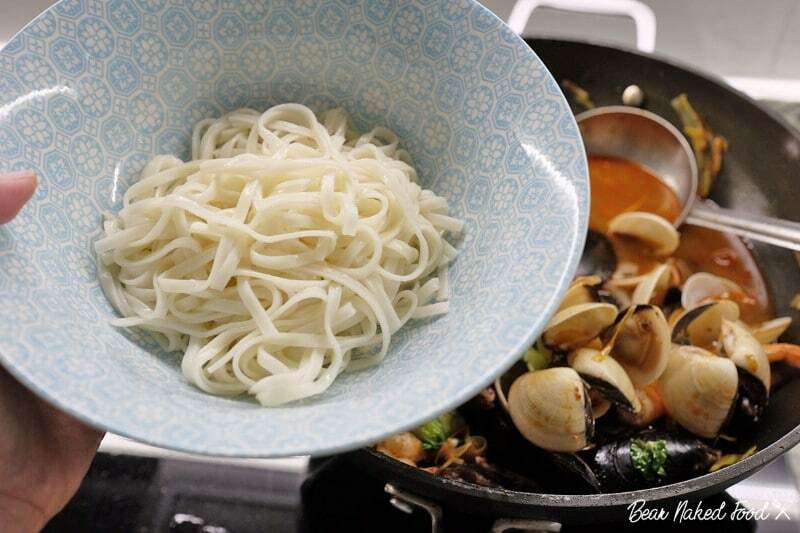 Originally from North-East China, this noodle dish arrived in Korea with the arrival of Chinese immigrants since the 1800s, mostly from Shandong. 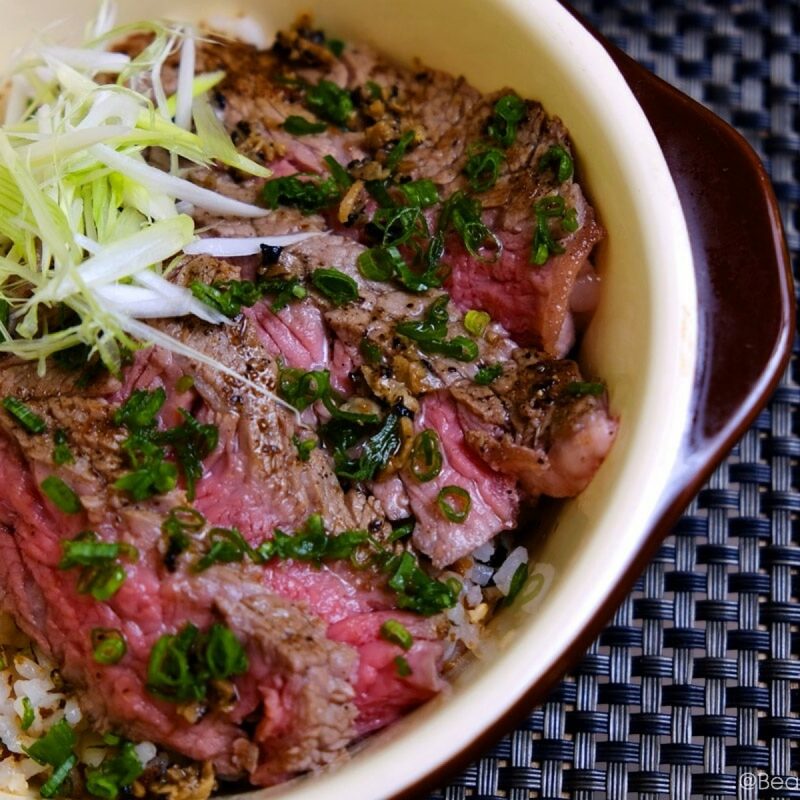 It was then adapted to suit Korean palates, and to use Korean ingredients as a substitute to Chinese ones. 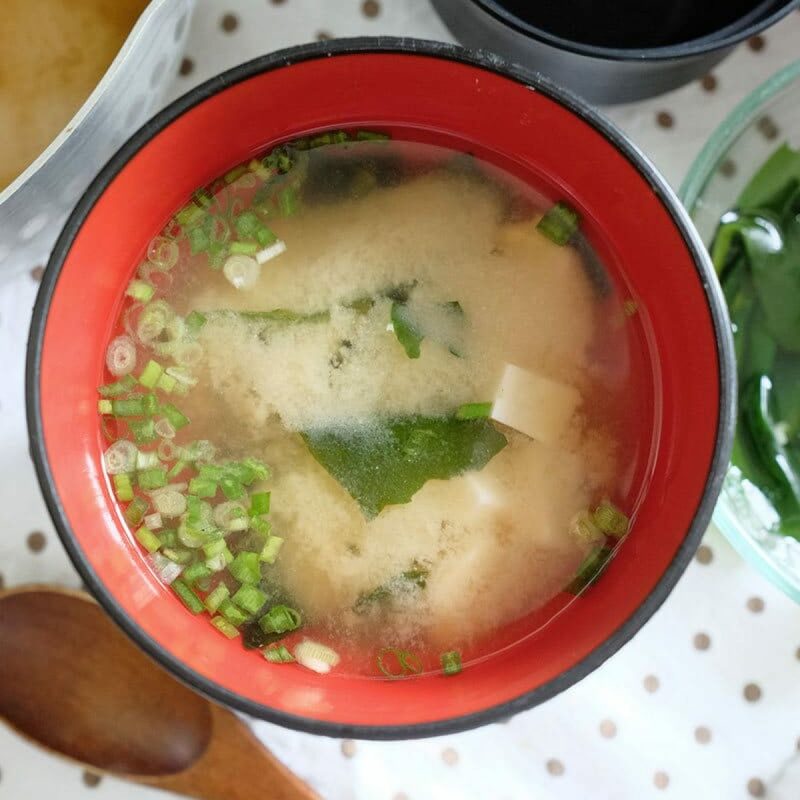 Jjambbong was initially a noodle soup served in a white broth that contained no chilies. 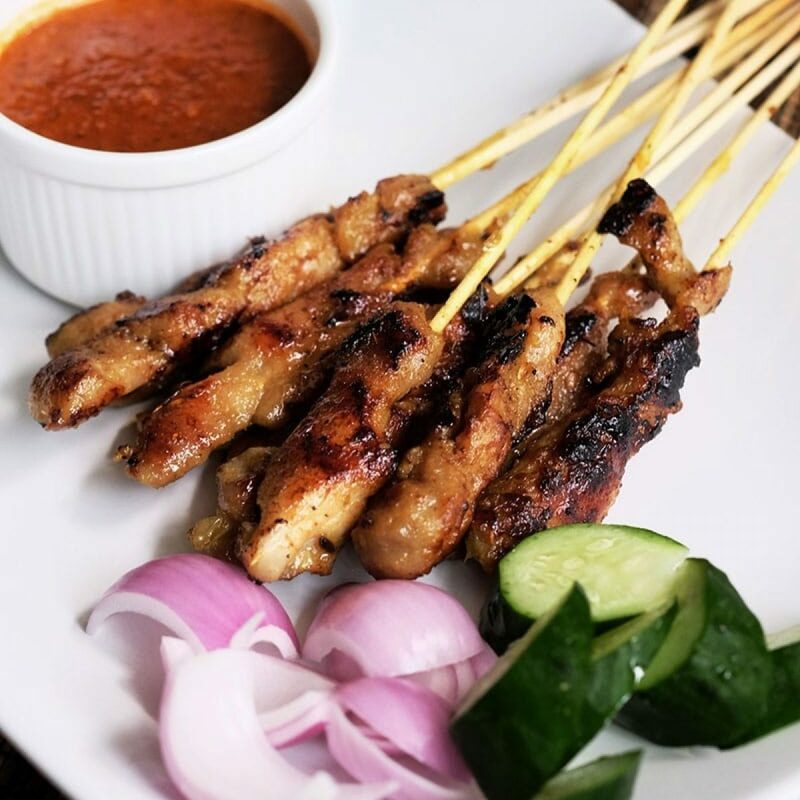 However, since the 1960s, it has become accepted and the norm that Jjambbong contains chilli flakes, thus creating the spicy noodle soup dish that Jjambbong is widely associated with today. 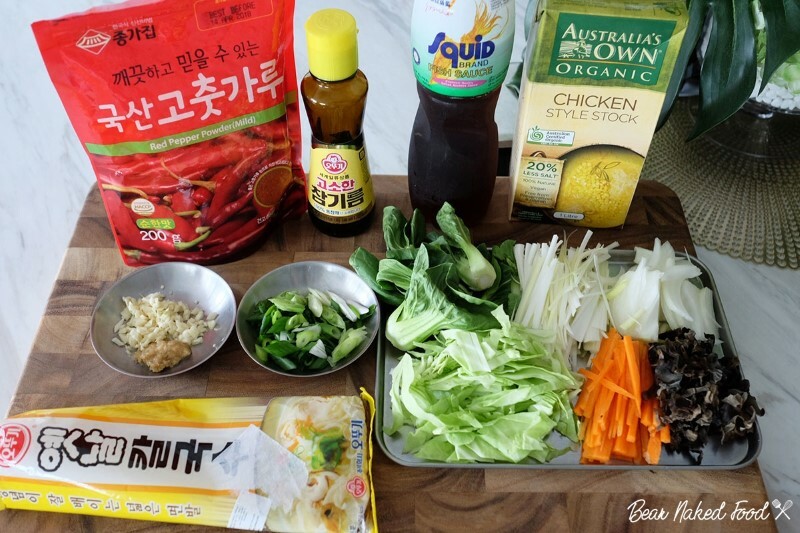 Do note that Korean fish sauce is not easy to find in most markets and supermarkets, even in Asian countries outside South Korea. 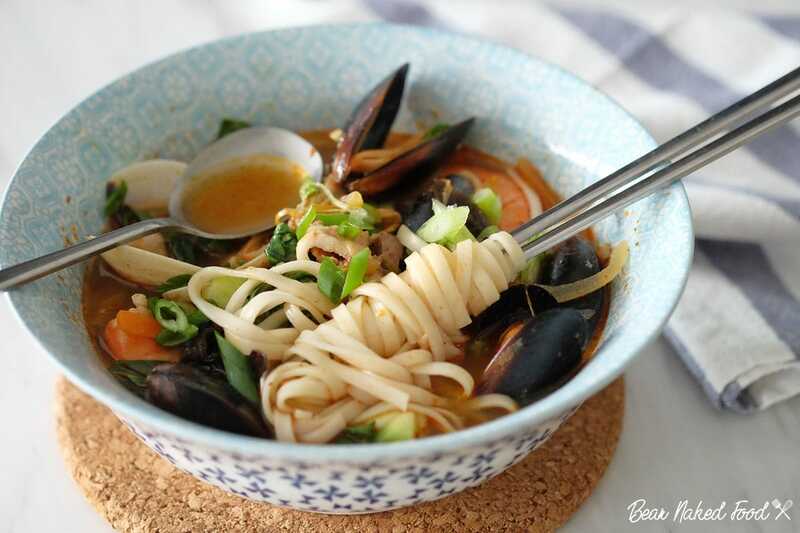 The best substitute is Thai fish sauce, which gives the Jjambbong a subtle and yet saline umami hit which adds a delectable touch to the overall experience and enjoyment of this Korean-Chinese hybrid noodle soup. 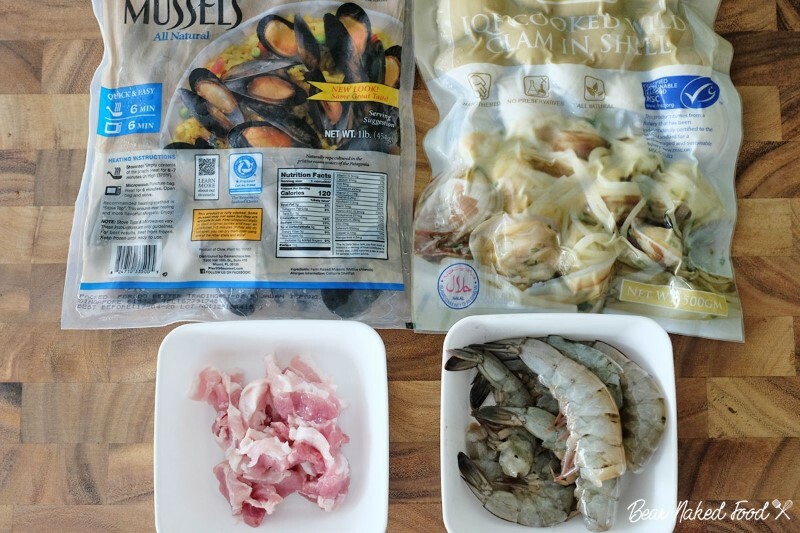 Recently, I’ve been using these pre-cooked mussels and clams which are really convenient and the taste is as good as fresh. 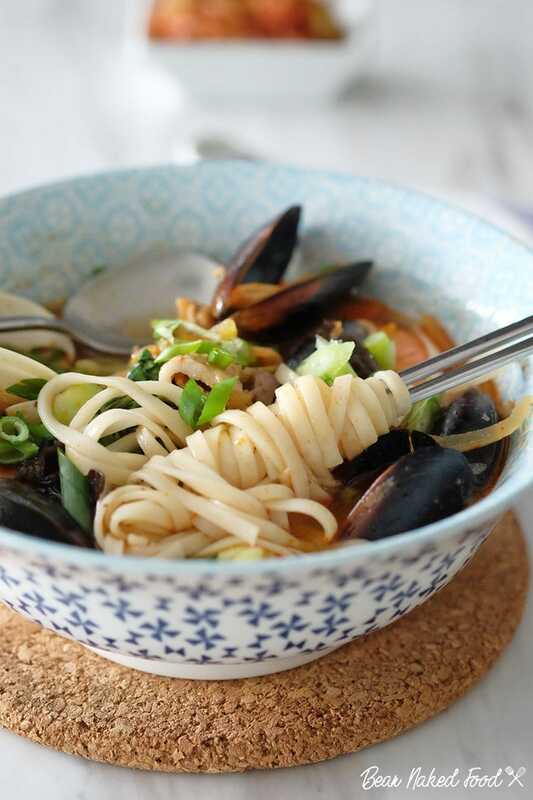 This delectable and rustic noodle dish is best enjoyed on rainy and windy days, as it does give one’s body a slight kick and innate sense of heat. 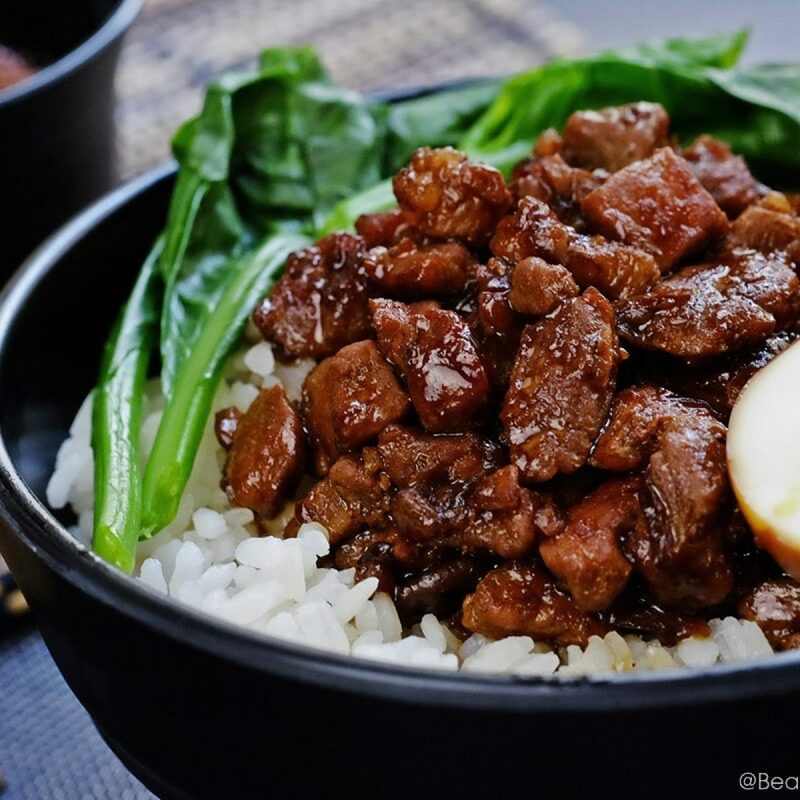 It is easy to prepare, tasty and most importantly, comforting. 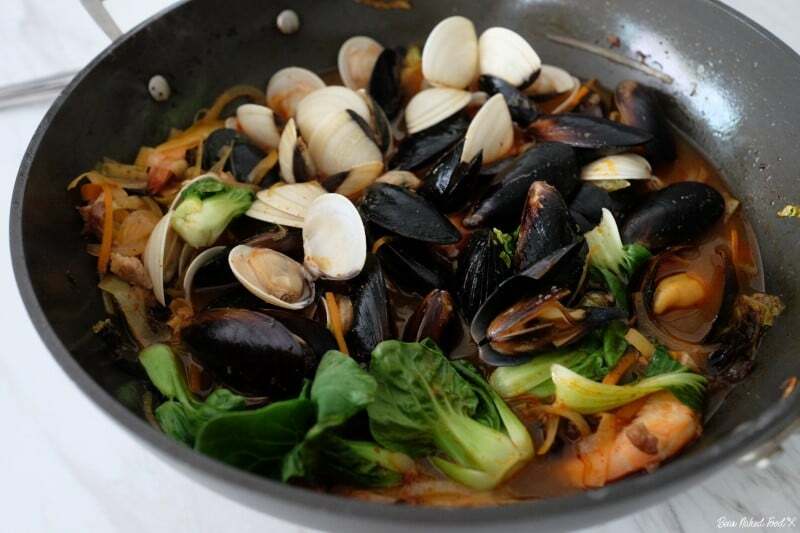 I’m using pre-cooked mussels and clams. Prepare all the above ingredients and set aside. 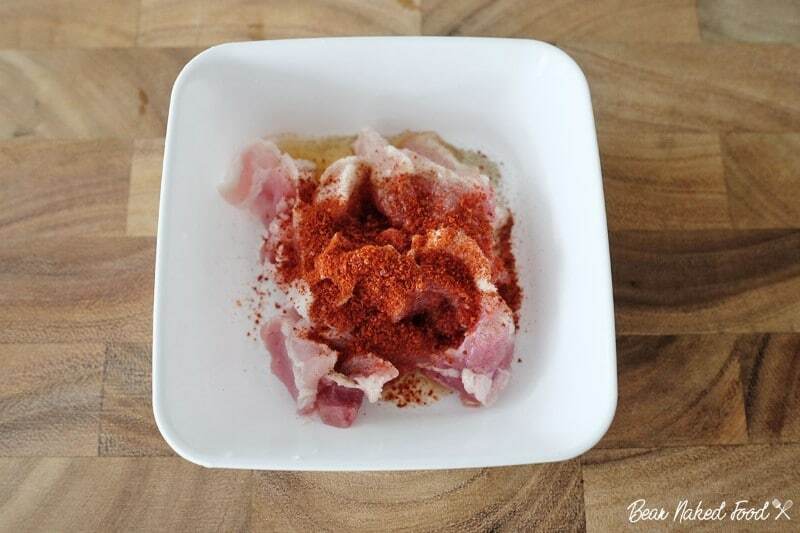 If you are using pork belly or any other types of meat, mix in 1 tsp sesame oil and 1 tbsp Korean red pepper powder. Alternative you can skip this step. 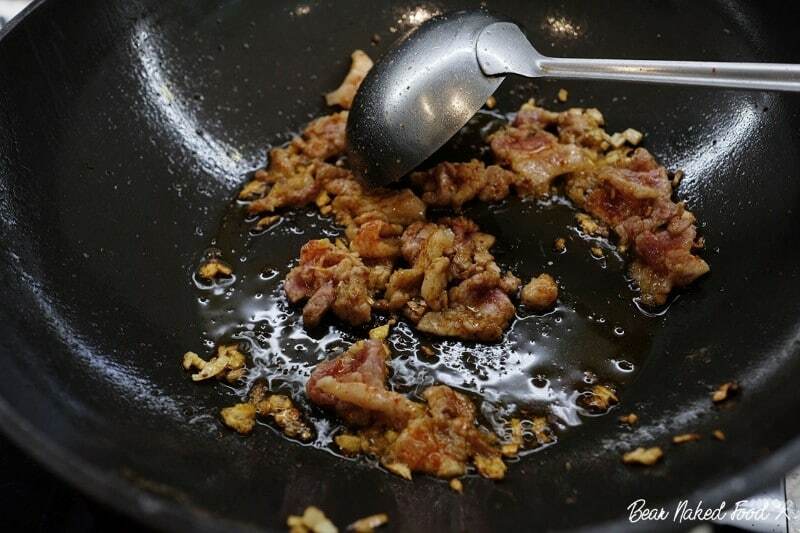 In a large deep pot or pan, heat 2 tbsp cooking oil and sauté the sliced pork belly (if using) over high heat. Push meat to one side. 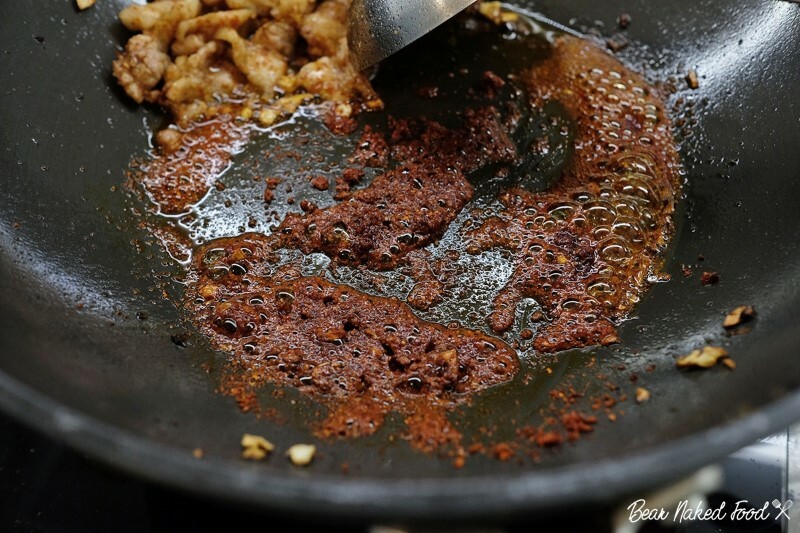 Add in garlic, ginger and remaining red pepper powder and sauté until fragrant be careful not to burn the garlic and red pepper powder. Be careful not to burn the red pepper powder and garlic. 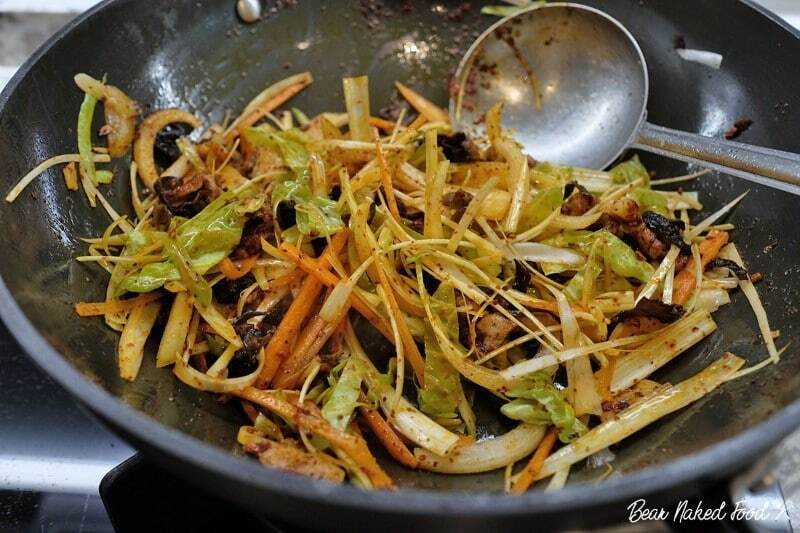 Add in remaining vegetables, except baby bak choy, and mix well. Season with a pinch of salt and pepper. Add in chicken stock and bring to boil. 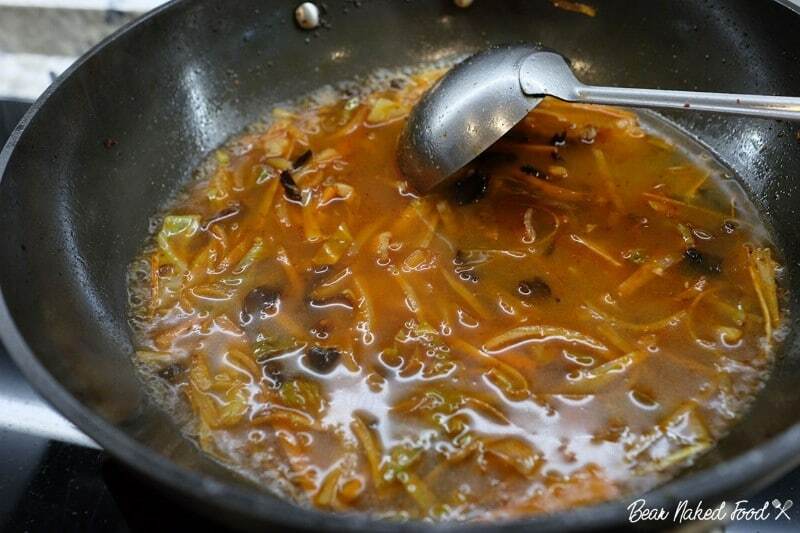 Drizzle in fish sauce, sugar and taste. 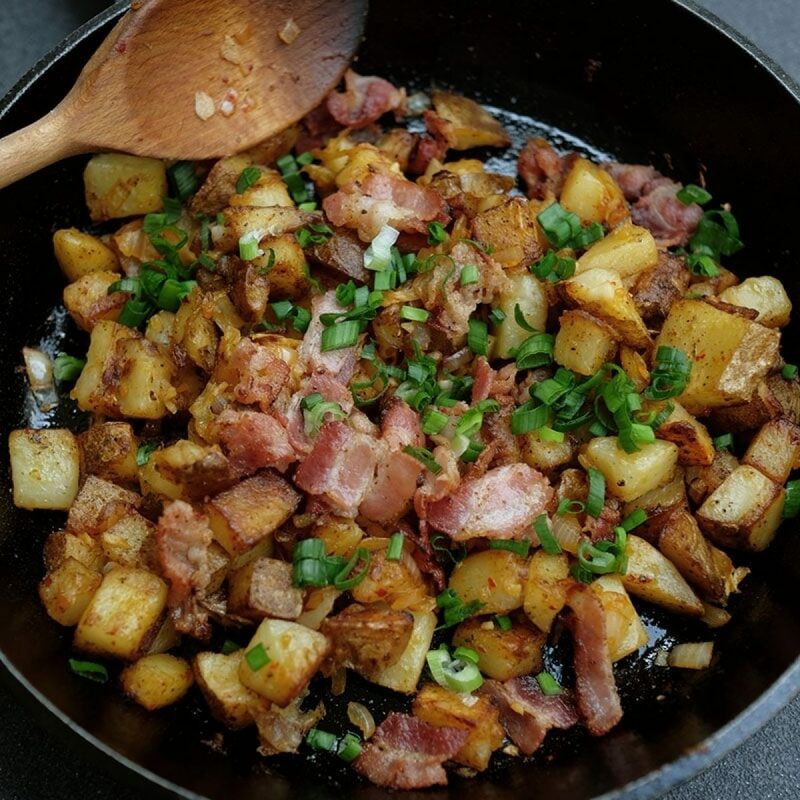 Adjust with more seasoning if necessary. 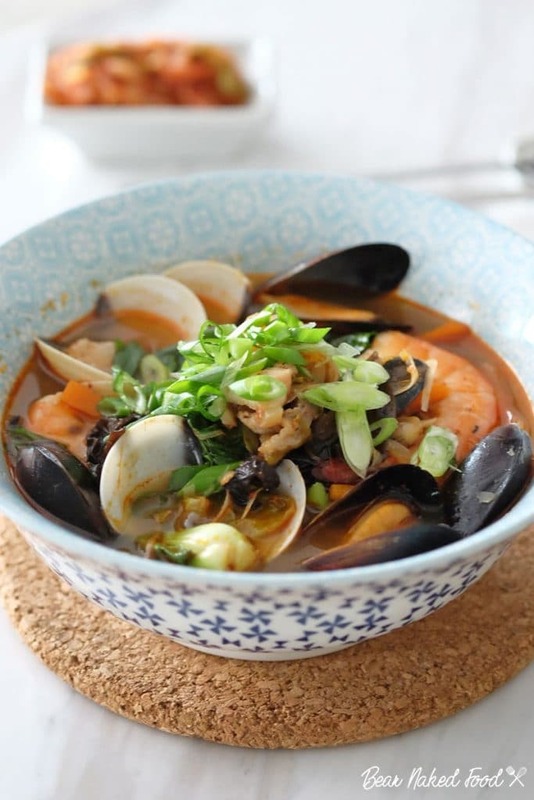 *You can prepare the stock ahead and add in seafood when you are ready to serve. 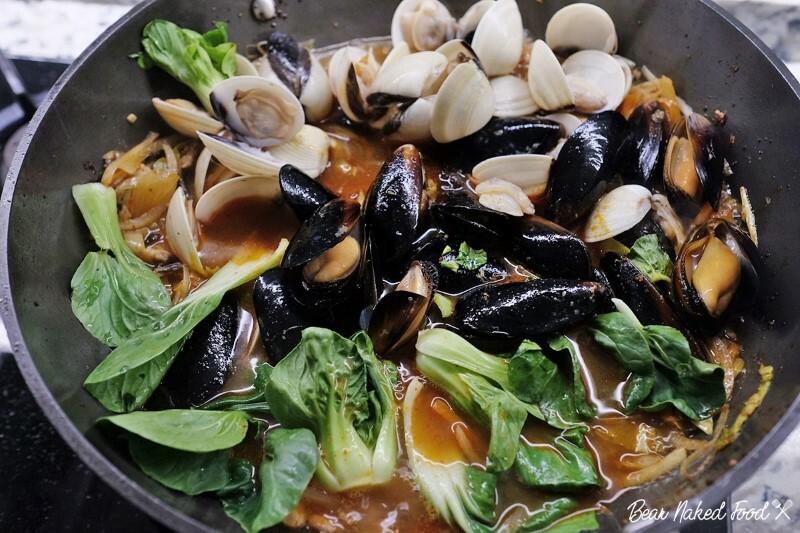 Add in all the seafood, baby bak choy to the stock and cover with lid. 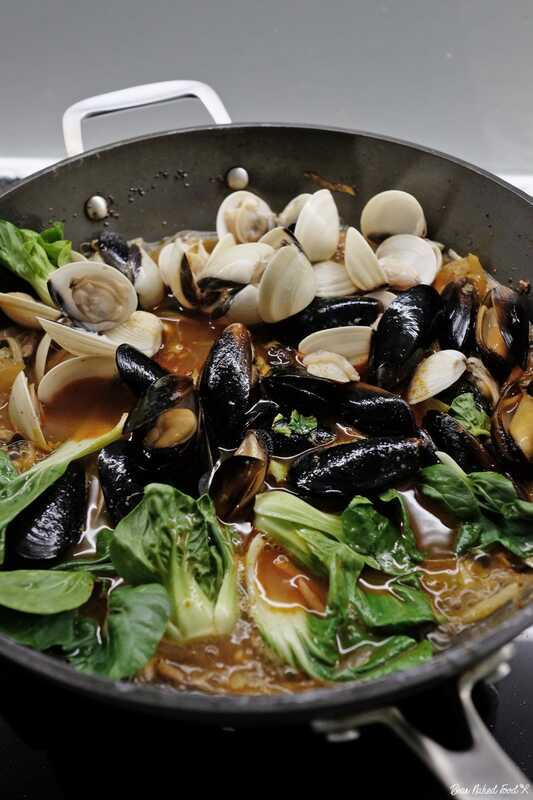 Once the shells of the clams and mussels are opened, turn off heat. 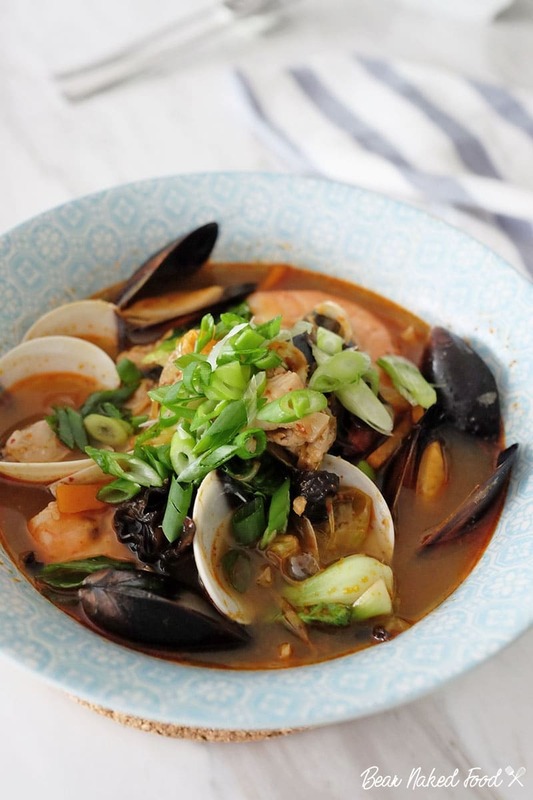 Do not overcook the seafood to avoid chewy texture. 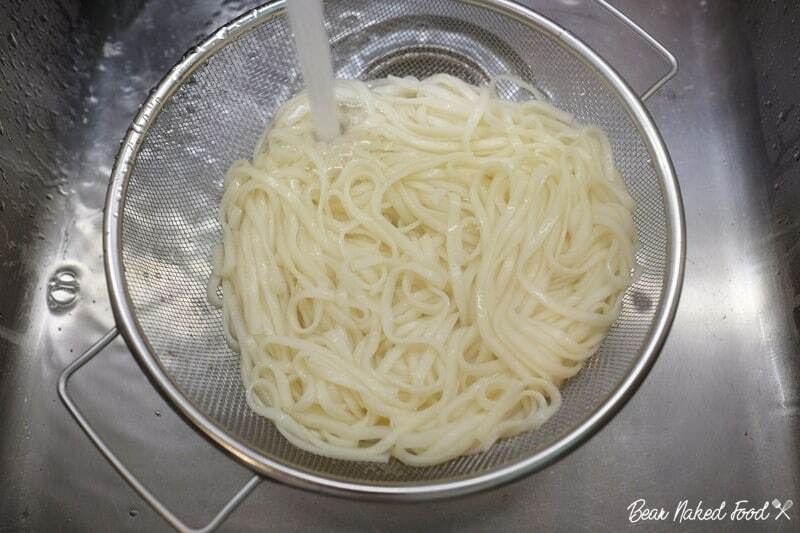 Place desired amount of noodles in a large bowl and ladle a good amount of ingredients and soup. Add in chicken stock and bring to boil. 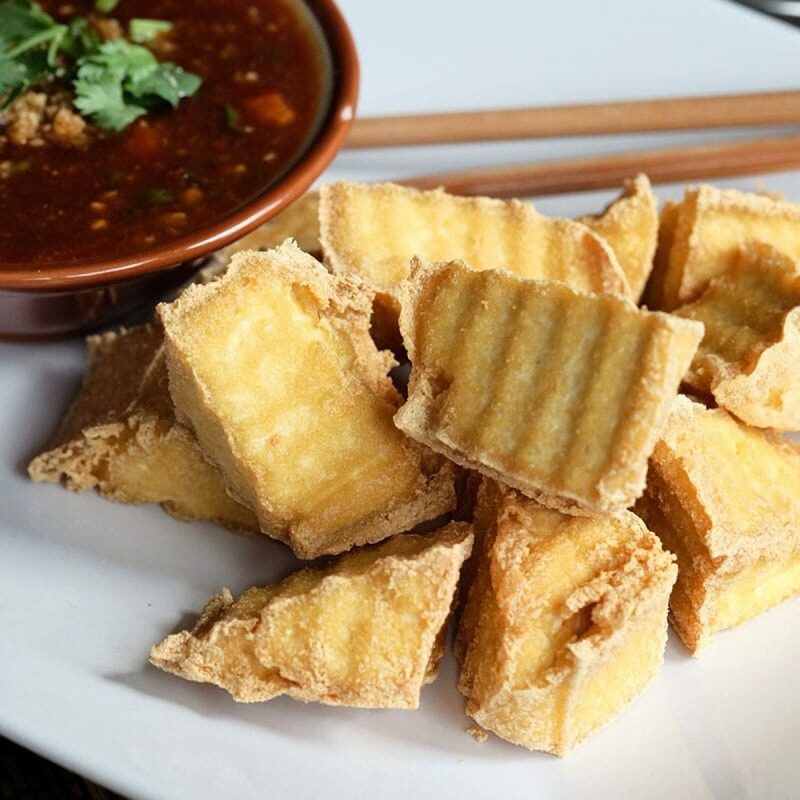 Drizzle in fish sauce and taste. Adjust with more seasoning if necessary.